Emily Kline has been playing the piano since the age of five during which she took lessons from two local Minnesota teachers. In her youth, Emily had the opportunity to study classical piano at the Wausau Conservatory of Music with Dr. Thomas Pearsall. During this time she served as her congregation's organist and choir pianist. Emily continues to be an active piano soloist/accompanist;﻿ playing for private parties, fundraisers, weddings, and church performances. Emily has been teaching since 2002 and is a member of the Music Teachers National Association (MTNA). 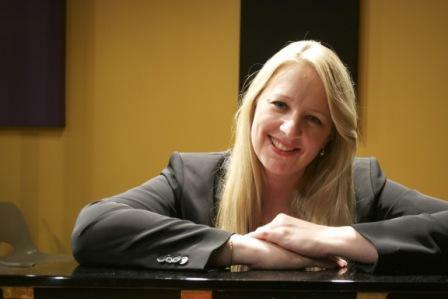 From 2003-2005 Emily served as the North Branch Area Piano Teacher's Association president. In addition, she served on the board of APPI (Association of Professional Piano Instructors) and has co-chaired the annual piano festival. Sharing music with the community is one of Emily's passions. Teaching, "First Steps in Musicland" and "Music, Mom, Dad, and Me" classes for Maple Grove, Plymouth, Brooklyn Park and Golden Valley Parks and Recreation has allowed Emily to share music with younger children in the community. Other community involvement includes bringing her students to an assisted living home to play music for the residents. Emily lives in Maple Grove with her husband and two daughters.